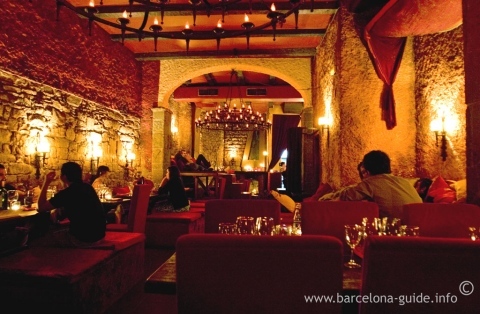 La Fianna has an Irish name but a Moroccan/Spanish interior and atmosphere. 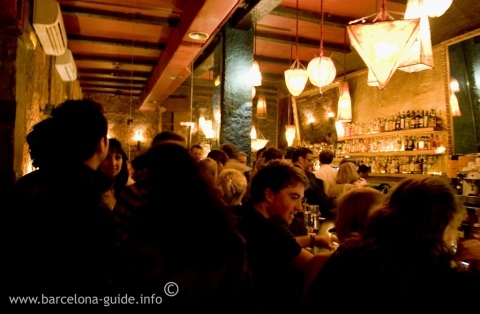 It´s an excellent cocktail bar, but also a resaturant with a range of flavours from around the world. It has an inviting and impressive interior full of cushions, red velvet curtains, raised sofas, original stone walls and warm lighting. 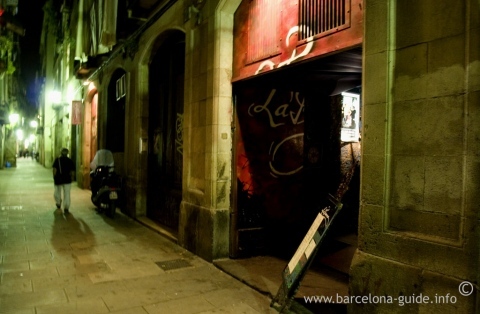 La Fianna is situated on the narrow street of Banys Vells in the fashionable Born area of Barcelona, to the left of the Santa Maria del Mar Church.